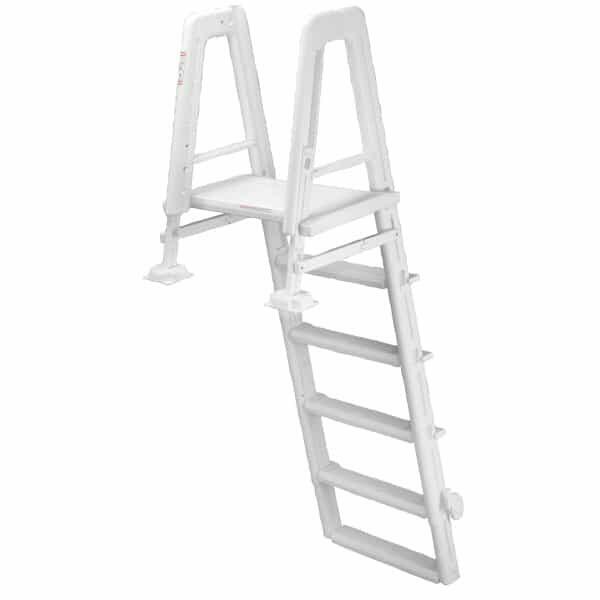 Inside Step & Outside Ladder Set Takes the Convenience Cake! Years and years of bringing pools to customers yards has allowed Family Leisure to understand the needs that follow the purchase of an Above Ground Pool. 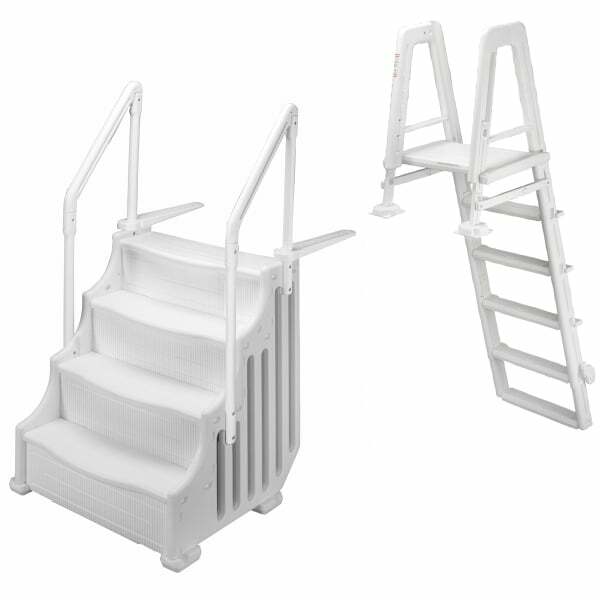 One of the simplest, most important additions a family makes to their above ground pool is a set of steps to help swimmers descend gracefully into the water. This entry step comes complete with an outside ladder. You have invested in an above ground pool. Maybe you should also invest in making sure it is used frequently and with ease. 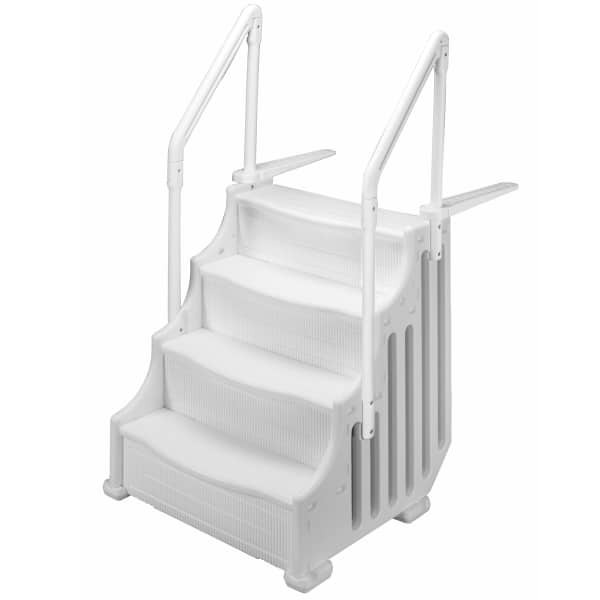 Step Dimensions - W38" x D35" x H45"